Many of the more successful Reno, NV car dealerships nowadays are owned by people who’ve never lived here. We’re a locally owned family business, and the majority of our staff are from Reno as well. We understand the unique needs of Reno drivers and offer pre-owned vehicles to meet these needs. Lithia Hyundai also prides itself on contributing and giving back to the local community. Come to Lithia Hyundai today and find the perfect used car for your driving needs. It can be hard to find the perfect car in Reno. Many of the local dealerships have very limited inventories. Lithia Hyundai prides itself on offering a wide selection of pre-owned vehicles. We have everything from cars to trucks to SUVs. Our inventory is always changing to better meet the needs of Reno area drivers. You can check our current pre-owned selection by visiting our website. Once you’ve found the right pre-owned car for your situation, you can even make an appointment through our website. You can also call at (833) 213-6597 if you like. If it’s more convenient for you, feel free to just stop by. Our staff here at Lithia Hyundai looks forward to meeting you. Many Reno area drivers will be looking to trade in their old car when getting a pre-owned car. Lithia Hyundai understands that this is a vital and potentially stressful part of the car buying process. We strive to make trading in your current car as quick and easy as possible. We even have a service on our website where you can get an estimate on the value of your trade-in. Once you have your estimate, you can make an appointment to bring in your current car. Just book your appointment through our website or give us a call today. Of course, you can simply drop in at your earliest convenience. If you’re in Sparks, Carson City or elsewhere in the Reno area bring your trade-in to Lithia Hyundai today for a fair and fast appraisal. If you’ve previously purchased used cars, Reno can be a difficult place to find quality service and maintenance. Not only does Lithia Hyundai offer a wide selection of quality pre-owned vehicles, we provide service and maintenance. Even if you didn’t get your vehicle from us, we’ll be happy to take care of it at our fully-stocked service center. We only hire properly certified techs, so you can rest assured your car will get the treatment it deserves. 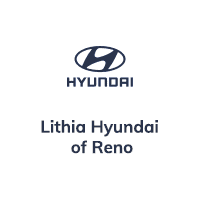 When you need more than just a used car dealership, our Reno area dealer Lithia Hyundai has got you covered. Stop by or call us today!